More than ever, the word “nuclear” is on the lips of world leaders around the globe. It seems like everyone is either “going nuclear” or is talking about nuclear weapons. The truth is that the world has been extremely fortunate that nuclear weapons have not been used to destroy an entire city since the end of World War 2. But with tensions escalating dangerously in the Middle East and around the world, how much longer will it be before nuclear weapons are used by someone to wipe out large numbers of people? In fact, for many terrorist organizations around the globe, the thought of going nuclear is the ultimate dream. A handful of terrorists really can’t do that much damage on their own, but one terrorist with a nuke can take out an entire major city in the blink of an eye. Many jihadists speak openly of nuclear weapons as being the means by which they will take down the United States and Israel. There are many jihadists who would set off a nuke in a major city today if they were able to. And with nuclear weapons technology spreading to places such as North Korea, Iran and Syria, how much longer do you think it will be before a terrorist organization is able to get their hands on a nuclear weapon? The truth is that nuclear weapons will almost certainly be used in the last days. Entire cities will probably be destroyed. Whether it is terrorists or governments who use them, the reality is that when they are used it will change the world forever. Leaders around the globe know how dangerous these weapons are. Many of them understand that once Iran gets their hands on nukes it will be extremely hard to ever put the “nuclear genie” back in the bottle. If radical Islamic terrorists are able to acquire nuclear weapons through Iran (or by any other source), all of our lives are going to change permanently. The threat of rogue nations and terrorist organizations going nuclear has made a lot of headlines just this past week. Just check out some of them…. *Barack Obama said that the possibility of terrorists getting a nuclear device is the “single biggest threat” to U.S. security as he opened the international nuclear summit that included 46 world leaders from around the globe. *Hillary Clinton said that she fears al-Qaeda is gathering material for nuclear weapons. *According to a top Iranian nuclear official, Iran will join the “nuclear club” within a month. *Iranian President Mahmoud Ahmadinejad unveiled a new generation of domestically made nucelar centrifuges in a ceremony in Tehran marking national nuclear day. 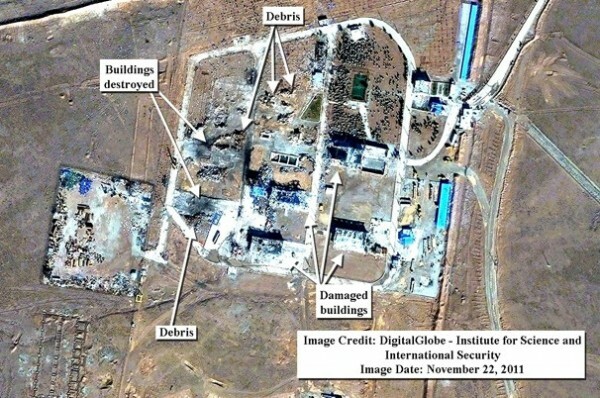 *It is being reported by international news sources that Iran’s bomb-making plutonium facilities are close to completion. *French President Nicolas Sarkozy is warning global leaders that if the world doesn’t act to prevent Iran from attaining nuclear arms, it could be responsible for a war between Israel and the Islamic republic. *An Iranian who once worked as a spy for the CIA is saying that the only way to avoid a nuclear war with Iran is to attack them now. *Russian President Dmitry Medvedev is warning Israel against a military strike on Iran, saying that it might lead to a global nuclear war. *The Turkish Prime Minister is urging other world leaders to start criticizing the Israeli nuclear arsenal. *Hillary Clinton claims that North Korea now has as many as six nuclear weapons. We live in very dangerous times. We all take the peace and safety we are enjoying right now for granted. But a time is coming when that will fundamentally change. Nations that absolutely hate the United States and Israel are arming to the teeth and are developing nuclear weapons. Just one suitcase nuke could decimate an entire city. We often forget about how blessed and how protected we have been, but someday that could all change in the blink of an eye. Let us pray for peace and hope that somehow nuclear weapons can be kept out of the hands of radicals and lunatics. When it comes to geopolitics, it is much more important to watch what the various players do rather than listen to what they say. This is especially true in the Middle East. 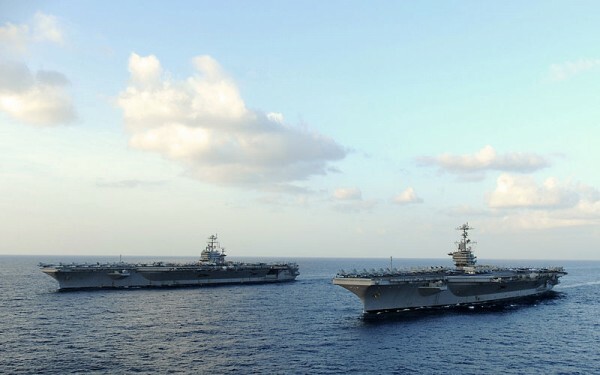 While many leaders in the region are saying all the “right” things, the reality is that there are indications that all sides are preparing for war. In fact, there are signs that war in the Middle East may be imminent. The reality is that Israel is simply not going to let Iran continue with their nuclear program forever, and Iran is showing no indications that they plan to discontinue it. So a showdown is inevitable at this point. Tensions are rising and preparations are ramping up. The following are ten recent signs that war in the Middle East is getting closer than ever…. #1) On Tuesday, Israel began distributing millions of protection kits against biochemical warfare. #2) The Tel Aviv municipality has unveiled a massive new public bomb shelter built directly under the new Habima Theater. #3) According to a senior PA negotiator and sources in the Israeli government, the U.S. has actually been conducting negotiations with Israel on behalf of the Palestinian Authority. Since when did the U.S. government become the representative of the Palestinians? Things have gotten really weird since Barack Obama got in the White House. #4) In recent weeks the Obama administration has stepped up its monitoring of Jewish construction projects in eastern Jerusalem. In fact, if anyone picks up a hammer in east Jerusalem these days the Obama administration flies into a tizzy. #5) The Obama administration is now rejecting all visa requests from all Israeli nuclear scientists who work on Israel’s nuclear reactor in Dimona and is now imposing severe restrictions on Israel with regard to the purchase of nuclear-related products. Wait a second – isn’t Israel supposed to be our friend? #6) Israeli Prime Minister Benjamin Netanyahu has cancelled a planned trip to Washington next week for Barack Obama’s 47 country nuclear security conference. So why did he cancel his trip? Perhaps #5 was a big reason. 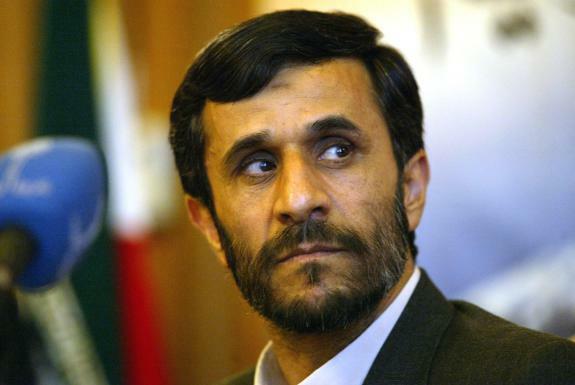 #7) Iranian President Mahmoud Ahmadinejad is claiming that Israel plans to start a war this upcoming Spring or Summer, and that this will be a chance for the surrounding nations to “finish” Israel. #8) A senior cleric within Iran’s elite Revolutionary Guard has reiterated warnings that Tehran would strike Tel Aviv immediately if Israel and its Western allies attacked Iran. #9) Iran’s Defense Minister Brigadier General Ahmad Vahidi says that “no trace of Israel will remain” if Iran is attacked. #10) Palestinian Authority Prime Minister Salam Fayyad is promising that the Palestinian people will celebrate the Holy Fire vigil next year in the “true Palestinian capital” of Jerusalem. If you listen to the major Islamic leaders in the region, it sounds like they are very much looking forward to war. That may seem strange to those of us with a western mindset, but you have to realize that these Islamic leaders have had the “glory of jihad” pounded into their heads since they were knee-high to a grasshopper (as they say in the South). The radical Muslims in the region are thirsting for a war with Israel, and Israel cannot allow Iran to continue developing a nuclear program indefinitely. Trouble is on the horizon. The Obama administration is totally inept and seems to be becoming increasingly anti-Israel. Now is the time to be praying for Israel and for the peace of Jerusalem. Does the government of Iran actually want war with Israel so that the Mahdi can return? As insane as that sounds, the truth is that the vast majority of people in the United States and Europe simply do not understand how absolutely obsessed Mahmoud Ahmadinejad and others in the Iranian government are with their form of radical Islam and with the return of the Mahdi. It surprises many to learn that Iran’s official state websites are filled with information about the Mahdi. In fact, Ahmadinejad actually believes that he was born to be “the great jihadist” that would prepare the way for the twelfth Imam. But in order for the Mahdi to return, the belief is that there must first be a great cataclysmic event. So is Iran’s nuclear weapons program designed to facilitate this cataclysmic event and hasten the return of the Mahdi? That seems to be the most rational explanation for Iran’s current behavior. The government of Iran knows that Israel and the United States will never let them develop nuclear weapons and will go to war if necessary to prevent Iran from getting them. But they seem bound and determined to get nuclear weapons anyway. In fact, Iran just announced that it plans to start constructing two new uranium enrichment facilities next month in the heart of the Iranian mountains. But doesn’t the Iranian leadership fear a war with the United States and Israel? Perhaps the Iranian government should, but they understand that if the United States and/or Israel strike first, they will be viewed as the aggressors by the rest of the globe. World opinion would swing dramatically in favor of Iran. Mahmoud Ahmadinejad and others among the Iranian leadership also believe that they are setting up the great cataclysm which will bring about the return of the Mahdi. Many of them seem perfectly willing to die in order to fulfill this purpose. So just who is this “Mahdi” supposed to be? According to Wikipedia, Shi’ite Muslims “believe that the Mahdi is the Twelfth Imam, Muhammad al-Mahdi, the Twelfth and last Imam, who was born in 868 AD and was hidden by God at the age of five.” It is believed that the Mahdi will one day return during a very cataclysmic time in human history and will establish the rule of Islam around the world in the last days. So now, many of those in the Islamic world who believe in the Mahdi are looking for that cataclysmic event to occur. For example, AwaitedMahdi.com states that the “Last Hour” will not come “unless the Muslims fight against the Jews”. Ariel Sharon understood these radical Islamic beliefs very well. Sharon is quoted as saying the following about Iran’s obsession with the Mahdi…. So was Sharon just exaggerating when he said this? In fact, check out the following quote from Ahmadinejad about how he believes that the United States is actively trying to prevent the return of the Mahdi…. “They have devised all these plans to prevent the coming of the Hidden Imam because they know that the Iranian nation is the one that will prepare the grounds for his coming and will be the supporters of his rule”. Most Americans and Europeans simply cannot conceive of a government that makes all major decisions based on an obsession with religion, but that is exactly what is going on in Iran. The government of Iran believes that the Mahdi is really going to return and that they are the ones who are going to pave the way for it to happen. Meanwhile, Israel continues to prepare for war. Israel’s air force has introduced a fleet of huge pilotless planes that can remain in the air for a full day and could fly as far as the Persian Gulf. In fact, each one of these “super drones” is reportedly as wide as a Boeing 737. Israel’s government understands what is happening in Iran and they know that a showdown is on the horizon. Iran continues to recklessly pursue a nuclear program as Israel continues to prepare to neutralize it. It appears as though it is more likely than ever that war between Israel and Iran is inevitable. Let us pray that war can be averted if possible, and if not, that God’s will be done. Iranian President Mahmoud Ahmadinejad is at it again. This time he is publicly claiming that Israel plans to start a war this upcoming Spring or Summer, and that this will be a chance for the surrounding nations to “finish” Israel. And yet there is very little outrage concerning these remarks outside of Israel and the United States. It should be quite obvious to everyone by now that Ahmadinejad is not interested in peace. In fact, he very much sounds like someone who is almost lusting for war. He has made these same kind of remarks over and over, and it is very clear that he believes that there will be an inevitable clash between Iran and Israel. Just consider the following quotes from Ahmadinejad’s most recent remarks as they were reported in The Jerusalem Post…. Are those the words of a sane individual? These newest remarks come several days after Ahmadinejad reportedly told Syrian President Bashar Assad that Israel “must be resisted” and “finished off once and for all” if it launches a military operation anywhere in the Middle East. Finished off once and for all? The rest of the world doesn’t seem to be getting the message, but the reality is that Ahmadinejad is very serious about wiping the state of Israel off the map. Meanwhile, the Obama administration is mulling over “tougher sanctions” and Hillary Clinton is warning that Iran is moving towards a “military dictatorship”. In response, Ahmadinejad issued his own warning to nations that would imposed tougher sanctions on his nation…. And this psycho may soon have his hands on nukes? The truth is that the United States and Israel simply cannot allow Ahmadinejad to threaten the world with nuclear weapons. But a war with Iran would be incredibly destructive not only to the Middle East, but also to the world economy. Hope that Ahmadinejad wakes up someday and changes his mind? Meanwhile, Saudi Arabia is insisting that any effort to rid the Middle East of nuclear weapons must include Israel. That puts Israel in a tough spot. The reality is that they have had nukes since the 1970s, and the presence of those nukes has caused potential invaders to think twice. There is no way that Israel should ever give up their nukes, but insisting that everyone else but them in the region be nuke-free is a tough argument for the surrounding nations to swallow. We’ll all just have to wait and find out – that is part of the fun of living in the last days. But all signs are pointing to a massive conflict between Israel and Iran at some point. Let us pray for the peace of Israel and for the peace of Jerusalem.